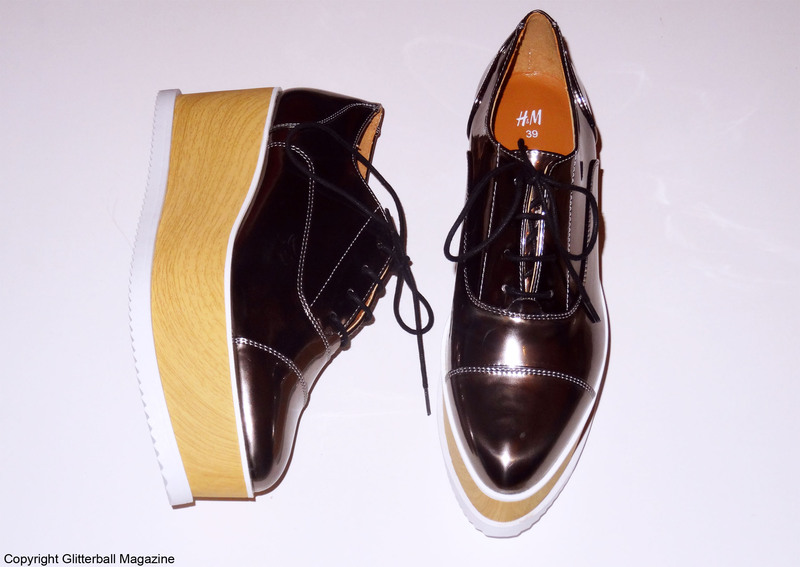 These metallic flatform shoes from H&M are the perfect way to update my wardrobe for winter. I can’t get enough of them! I adore flatform shoes. I’ve actually given up counting how many pairs I own. Sure, I should probably stop buying shoes but when they look this good, it would be a fashion travesty to leave the shop without them. What do you think? 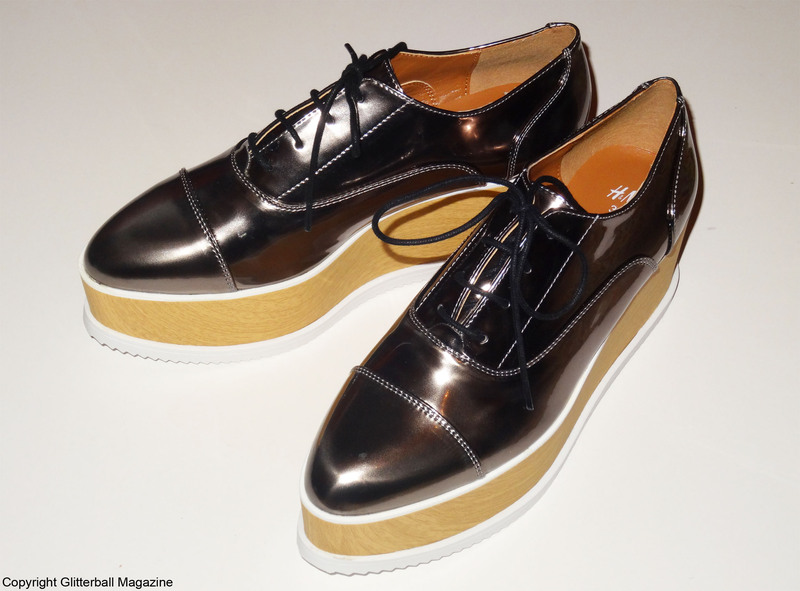 But what’s so good about flatform shoes, I hear you ask? Uhm, pretty much everything! They give me extra height without the fear of a stiletto heel. 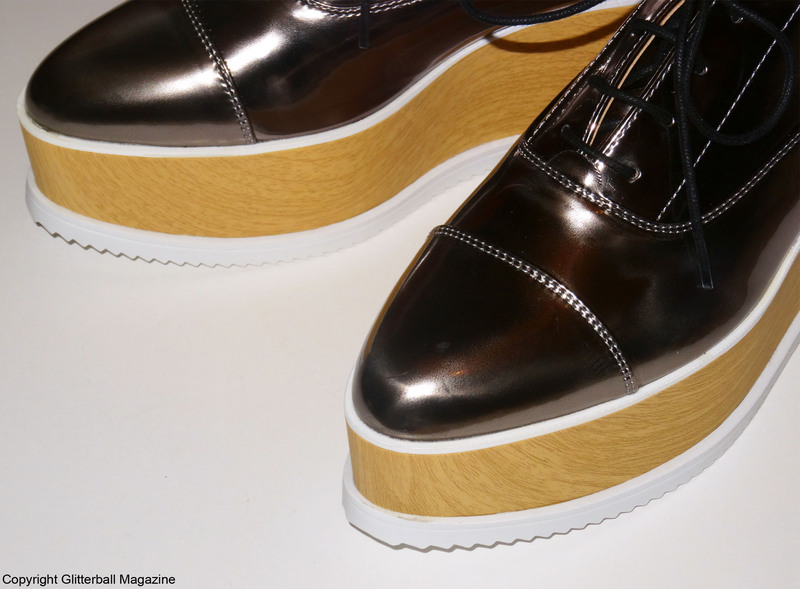 Agreed, they might look a little chunky compared to a delicate skinny heel but when you wear a pair of flatforms, you’re adding a touch of artistic flair to your outfit. They’re all the rage in Japan, you know. I adore the wood effect heel, which makes these look super heavy but they’re not. The white rubber sole adds comfort and gives me a spring in my step whenever I wear them. They’re like a similar pair from Stella McCartney but without the hefty price tag.